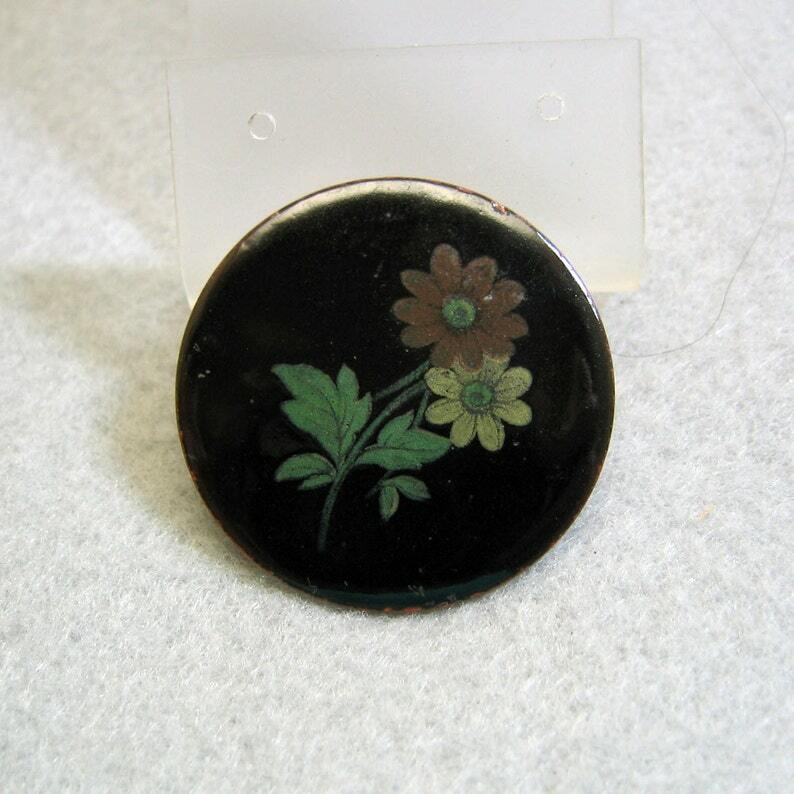 This striking black enameled pin has two daisies on the front. The Pin is a copper enameled piece from the 1960s and measures 1 3/8ths inch in diameter. There is a safety clasp on the back and the pin is in excellent condition. I don't see any maker's markings on the back. We will mail this out in a beautiful gift box for easy gift giving.